Days of unrelenting rain caused rivers and creeks to overflow their banks, creating catastrophic flooding across a wide area of northern Colorado. Whole towns were evacuated after becoming swamps. Major roads are closed, and thousands of homes are without power. Donate to U.S. 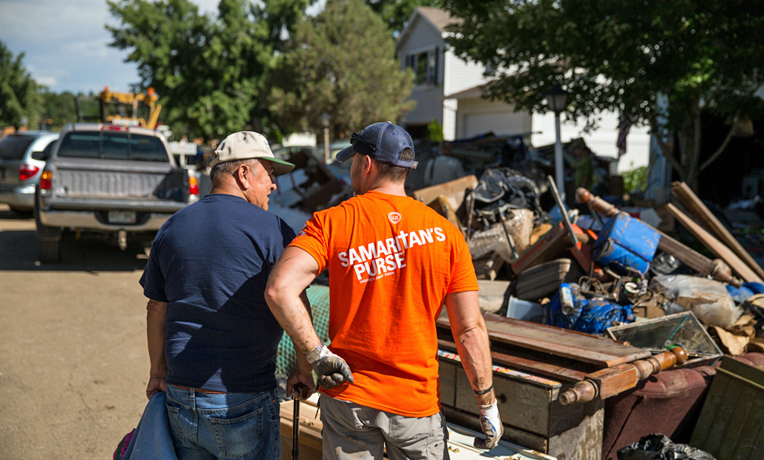 Disaster ReliefSamaritan’s Purse responded by sending staff, equipment, and volunteers to help in some of the hardest-hit areas. A team operating out of our base in Boulder County began working September 18, helping homeowners by removing ruined belongings from flooded houses, taking out waterlogged insulation and drywall, and helping prevent the growth of mold. 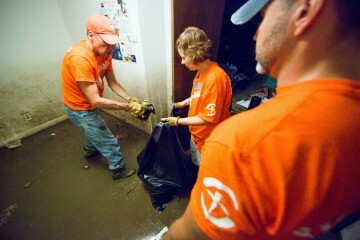 Click here to volunteer in Colorado with our Disaster Relief team. Cleaning mud and debris out of homes is one of the many ways that our volunteers are helping homeowners. On September 16, a Disaster Relief Unit arrived at Rocky Mountain Christian Church in Niwot, within 15 minutes of the hard-hit communities of Lyons, Clark, and Longmont. A second unit has positioned itself at Journey Christian Church in Greeley, Colorado. We began providing tools and equipment to local churches already engaged in relief efforts as soon as we arrived and have been serving hard hit areas in Boulder and Weld Counties. So far we’ve completed more than 300 work orders in both counties combined. The Weld County site in Greeley closed on October 16, finishing with 64 completed work orders and recording 47 salvations. More than 15 inches of rain had fallen within a week, about half the amount the area normally receives during an entire year. The unusually large amounts of rain in a short amount of time are what caused the floodwaters to dramatically rise last week. Many tasks that the volunteers complete are too overwhelming for homeowners to do alone. The impacted area includes a 4,500 square mile area—nearly the size of Connecticut—along the Rocky Mountains from Fort Collins near the Wyoming border through Boulder, Denver, and Colorado Springs. More than 19,000 homes have been damaged or destroyed. At least 10 people have been killed. Thousands have been driven from their homes. Officials are saying this has been the largest airlift rescue effort since Hurricane Katrina. 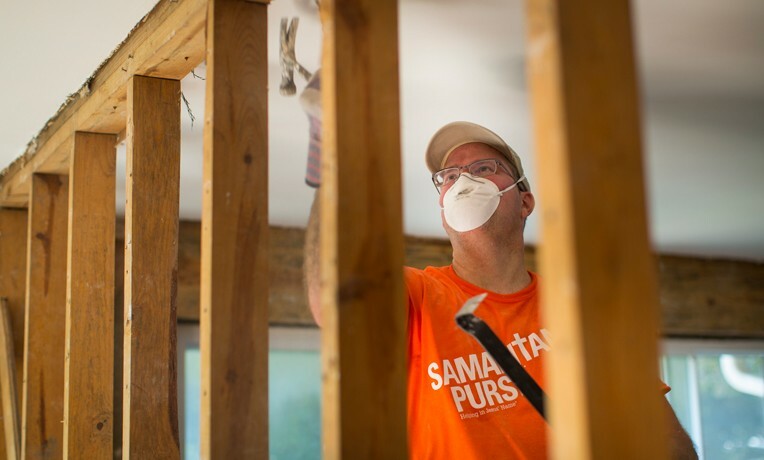 Samaritan’s Purse disaster relief volunteers assisted flood victims earlier this year in Catawba County, North Carolina, and Kingsport, Tenn., by going through homeowners’ belongings, performing mud-outs and removing soaked insulation, and helping prevent the growth of mold. The response in Boulder County is still ongoing and expected to wrap up operations in early November. Please pray for the flood victims in Colorado during this difficult time. For those interested in volunteering, please visit the Samaritan’s Purse Volunteer Network.